Everyone needs money. It is something that is universally valuable and it becomes extremely difficult when you have so many things you need but very limited resources. So what do we do? We save, we cut on our meals,which is really a BAD habit, or we lend. We want to put a stop to it but it is difficult! But we sure do have remedies. 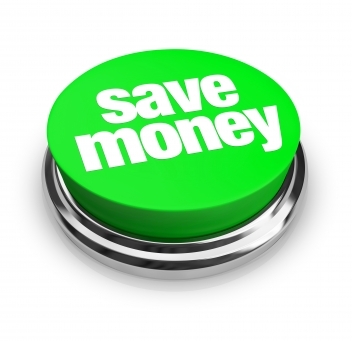 So, here are 5 ways to save MORE money. This way you have an idea of how much you need to pay for every month: the mortgage, car loans, school, groceries. Then write how much you earn every month. Look at the figures. If the spending side is larger than the earned side, try slashing off things you don’t really need, or lessening the amount of your purchases. Do this until both sides are balanced. Just don’t starve yourself. But what if it is still not balanced? Okay, read on. You need coffee. You need it brewed. Your need it with whipped cream. You have so many problems! The more problems you have, the more money to spend. What’s wrong with instant coffee? Why do you have to spend $5 dollars when you can spend just $2? It’s okay to treat yourself sometimes but brand entails extra dollars. The not so popular canned food item should taste the same with the popular ones. Tip: when you go to the grocery store, make sure you have already eaten. When you’re hungry you tend to put in more to your basket because everything looks good. You can write? You can design logos? Go on out there and offer services to your friends! You don’t need capital for this. Do it as extra work. Or you can do number 3. Make a deal: I design your brochures, you give me two free meals and stuff like that. Of course, be reasonable in your requests, though and be really good at what you do. You market yourself well, you get more clients or more free things. Bummer! Duh! I have read in a lot of financial freedom books that you have to save first and what’s left should be used for spending. It isn’t always applicable right? But nowadays, in order to secure yourself, you need to at least have six months worth of income in your account to put you through somehow in case of emergencies right? This is difficult but remember, buy only the things you need and not what you want. You could sometimes. ← Are All Minions Dudes?